A protein called clusterin has been linked to many aspects of cardiometabolic disease by researchers at Ohio State University (OHU). Cardiometabolic disease is the name given for a combination of metabolic abnormalities characterized by impaired glucose intolerance, insulin resistance, hypertension, dyslipidemia, and central adiposity. Cardiometabolic disease increases the risk of developing coronary heart disease, heart attacks, and strokes. While classed as a syndrome for many years, it has now been recognized as a disease by the World Health Organization and the American Society of Endocrinology. The disease affects around 25% of the world’s population to some extent. Cardiometabolic disease risk factors need to be managed through behavioral changes, dietary restriction, and exercise. While risk factors can be reduced to prevent the development of cardiometabolic disease there is no out and out cure. There is also a lack of understanding about factors that triger the development of the disease. For almost 10 years, researchers at Ohio State University have been investigating new factors that play a role in the development of cardiometabolic disease. “We wanted to identify those important [factors] maintaining the framework of fat tissue, called the extracellular matrix, which becomes dysfunctional in obesity,” explained first author Dr. David Bradley, assistant professor in the Division of Endocrinology, Diabetes and Metabolism at OSU. The study was conducted on 54 obese and 18 lean patients at the OSU Wexner Medical Center and also involved an analysis of human and mouse cells taken from subjects prone to developing complications associated with obesity. The researchers showed that a protein in the ECM called clusterin is overproduced by fat cells in obese patients. As fat cells enlarge in obesity, clusterin production also increases. The researchers were able to strongly link clusterin to insulin resistance, cardiometabolic syndrome risk, high blood pressure, elevated cholesterol levels, fatty liver disease, and high mortality rates. Clusterin has been studied in the past, but mostly related to its role in the development of Alzheimer’s disease. Little research has been performed related to its role in the development of cardiometabolic syndrome. “The clusterin protein is a key component of the extracellular matrix, so this work opens up a new vista to understand the role of clusterin in inter-cellular crosstalk of tissue microenvironments of various diseases, including diabetes, cancer and neurodegeneration,” said co-corresponding author, Dr. Stephen T. C. Wong, professor and chair of the Department of Systems Medicine and Bioengineering at Houston Methodist. 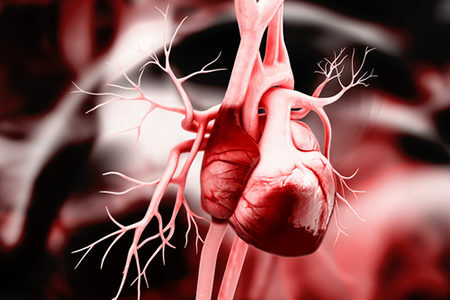 The researchers suggest that clusterin may be a biomarker of cardiometabolic disease and could be targeted with drugs to prevent the development of the disease.